The window of Keelung is always facing the ocean, and over the past few centuries the oceanic culture of the region has accumulated rich and diverse imprints and experiences. In the mid-nineteenth century (1863), Keelung Port opened, and it served an important role in the strategy and trade that attracted attention overseas. 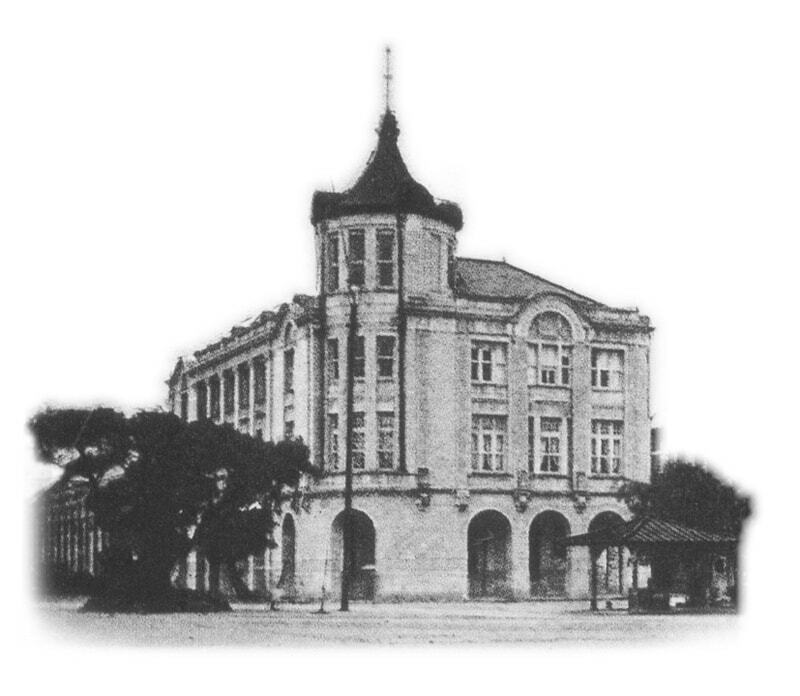 During the Japanese colonial period, Keelung Port was the closest gateway to Japan and, on May 4, 1915, the original building of Yangming Oceanic Culture & Art Museum was first completed. It was originally named Nippon Yusen Kaisha (Japan Mailboat Steamship Line) and was the Keelung branch office. 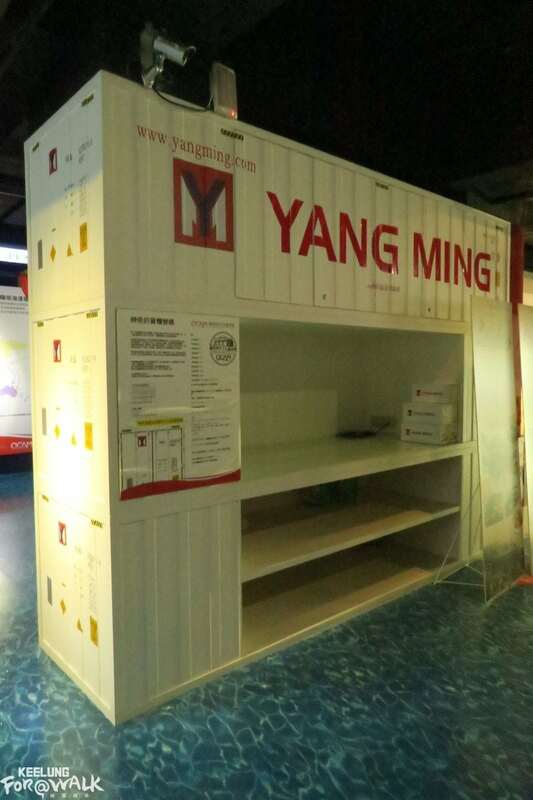 Since the liberation of Taiwan, it has been operated by the Yang Ming Marine Transport Corporation. 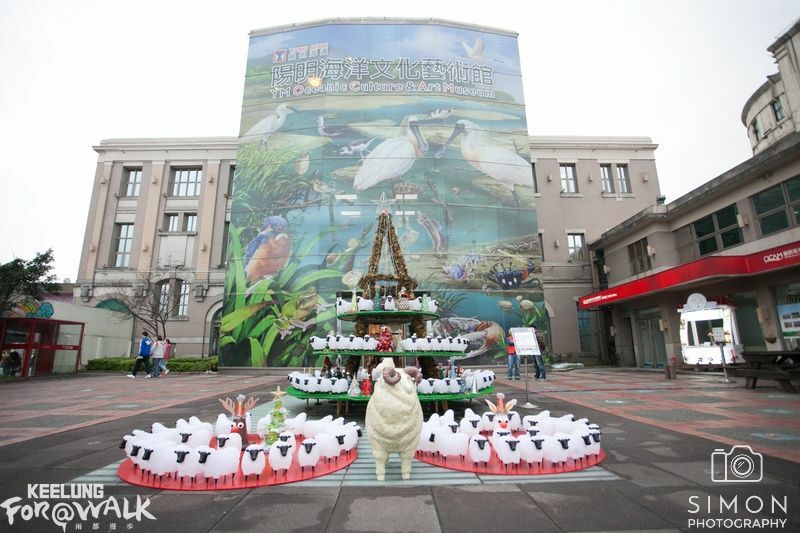 If you take the train to Keelung, look out from exit of South Station, and you will see a prominent building, which is none other than this museum. Though many motorcycles and taxis are hurtling around the traffic circle in front of it, you can’t deny the beauty of the arches on its first floor arcade. 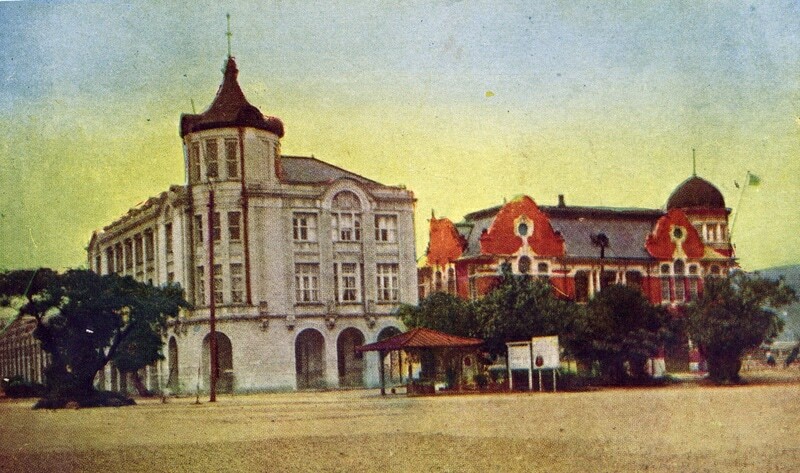 Imagine the view from an antique Keelung Station during the Japanese occupation. Do not enter the wrong way, because the museum’s main entrance is facing the port, and you need to get in from the side of YouKai parking lot. 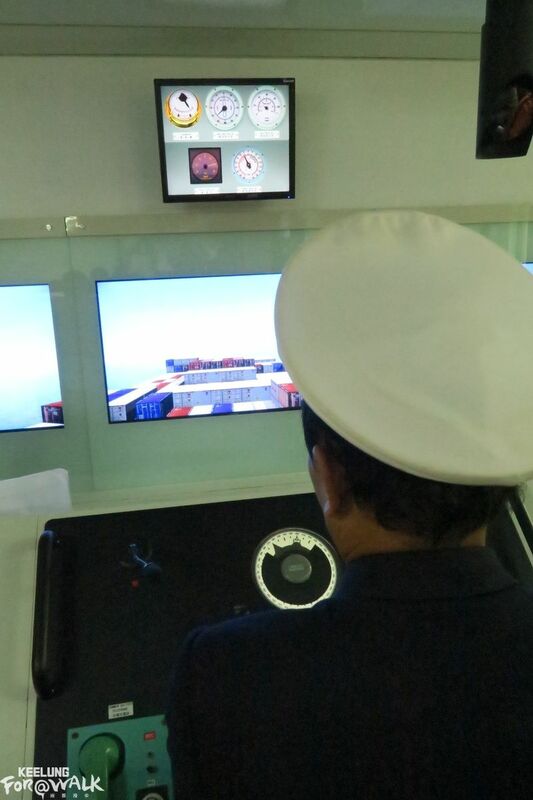 Go to the exhibition area on the third floor and take a look at the panoramic model of Keelung. You will find the history of those container ships and bridge cranes (“giraffes”) seen in the port today. Next to the building exhibition, the wall showcases many nostalgic photos of Keelung’s harbor, and its concentration of time demonstrates the Port of Keelung’s place in Taiwanese history. If you don’t have much time, you at least should try the unique experience of captaining a cargo ship on the third floor; this zone even offers you the captain hat and clothes to try on, sailing the ship out of a simulated port! 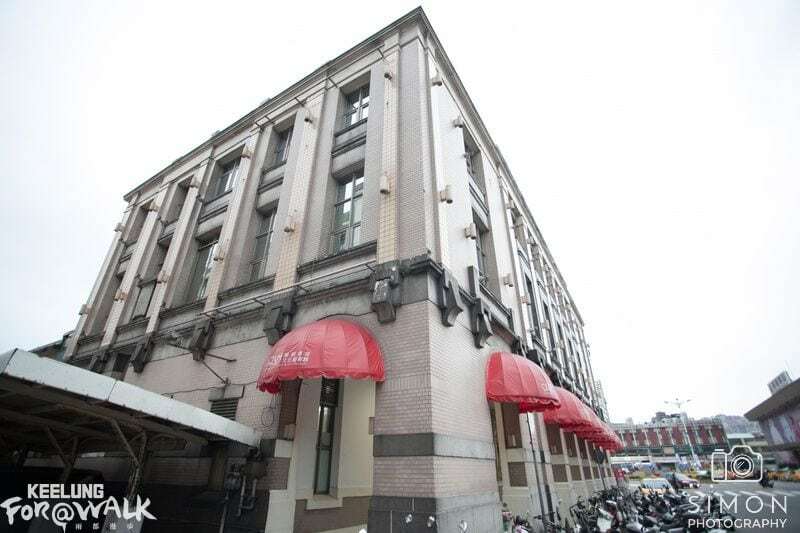 Next to the museum, there is another building that has a close relationship with the Port of Keelung: the Harbor Building. This is worth a visit due to its beautiful building modern architecture style! Keelungers who take public transport will always have the opportunity to visit the museum, since the Keelung Bus Terminal is located at its side door. It’s recommended to stop by before going back home, participating in the rich and diverse activities, and watching the past and present of the Port of Keelung from the window of time!